The number of people using social media in the U.S. and around the world is growing at an extraordinary rate. These new ways to communicate may seem like it creates many great opportunities. But it’s only great if you can get your products in front of the right audience to increase sales. 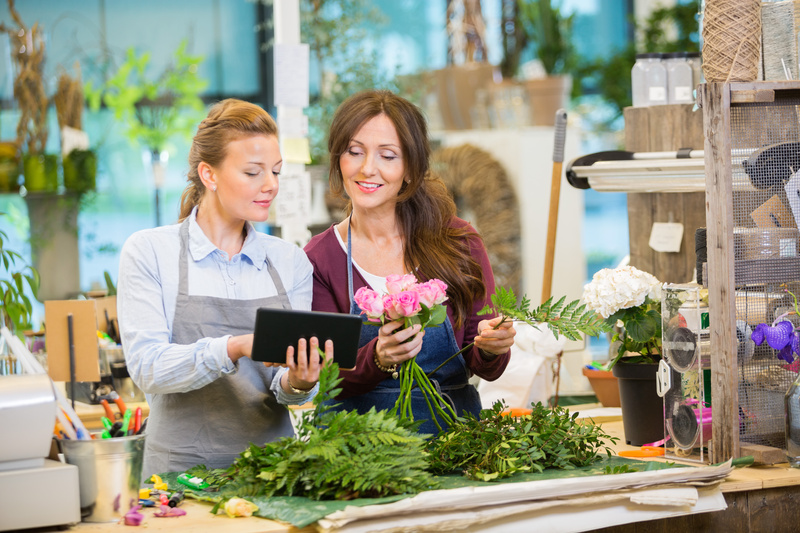 In this article you’ll find four tips to get you started using social media as a sales tool. But before we dive in, it’s important to understand the significance of the word “intent” when it comes to sales and social media. When a user does a search on Google for a product that you sell, and then visits your website, they have buying intent. Social media is different as the users you encounter do not typically have an immediate intention to buy. They may have buying intent at a later date. But when they first come across you, they are most likely not ready to make a purchase. Instead, they simply want to get a better idea of what you’re about. 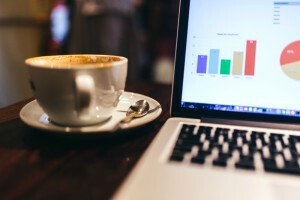 Here is where most businesses fail on social media. They create their accounts and then start putting up posts which are essentially “Buy Me, Buy Me, Buy Me”. Frankly it is not surprising that most social media users respond with a metaphorical “bite me” when presented with this sort of message. You’re good. But you’re not superwoman or superman; your team is not superhuman; and you probably don’t have Apple-esque reserves of cash at your disposal. In other words you can’t do all social media platforms really well, so you have to pick the ones that will get you the best results. This is about knowing who your customer is, predicting which social media network they are most likely to use, and then picking one or two of those networks that you think have the best chance of success. The content that you create should match your selected social media platforms. For example a how-to article that works well on LinkedIn won’t be as suitable on Facebook. Also, make sure the content is engaging. This statement is easy to make, but not easy to put into action. Think of making your content engaging for engaging sake, instead of engaging for the sake of your business. You almost have to forget about promoting your business, at least for the majority of your posts. Mix up your content to include images, videos, retweets, shares, third-party links etc. You also have to think about frequency – look at what your competitors do, and look at companies who offer similar services in other markets, to get a guide for the right post frequency. This is not an easy part of a social media sales strategy, and in many respects it is getting more challenging each year, but it is crucial to your success. If you work on building your social media following consistently over time, you will see results. Following other social media accounts, building up relationships with social media influencers, and reaching out to individuals and businesses in your industry, are some of the ways that you can build your following. You should also include your social media profiles on your website and email signature. you should explore running ads to build your following. The objective of your social media strategy is to increase sales. One way to bring in business is to better understand your customer’s journey. This means being at the front of their mind when they are ready to buy. Include strategically placed promotional posts in your content strategy. Make sure there is a link back to your website and that your contact details are up-to-date. And immediately respond to any queries you receive through comments or direct messages on social media. You can even explore the growing trend of completing the sale on the social media network, depending on the platform you use. Wherever the transaction takes place, though, you have to win trust first. The four steps above will help you achieve this. Establishing a website with a company (such as FatCow) is the first step in getting your company known. Each page of your site is uniquely important to engage with your customers. When done right, you can elevate your web presence for your products or services. But you’ll need to understand the basics of website content management to keep your customers coming back. Internet spiders crawl each website and focus on the text that’s on each page. Keywords are important but if they are repeated too many times, Google will assume it’s ‘irrelevant keywords’ or ‘key word stuffing’ and the site will be reduced in positioning. This rule-of-thumb is also important when crafting individual blog posts or sales pages. Repeating the same message will act like keyword stuffing, so ensure that each site page has different and unique wording. As of 2014, Google changed the manner in which they place ‘value’ on a site page. Everything that is ‘above the line’ (within the viewers first screen view, without scrolling down) is considered to be the priority text. This can be likened to the old newspaper days of the most important editorials and advertising being “above the crease” – the most important area viewed. This is one of the many reasons why should you should include the most important part of your message at the top. A static website doesn’t do much for your readers. If you’re not providing value (through fresh content), you’re not giving your customers a reason to revisit. Instead think about ways you can add fresh, creative content to attract your customers attention. Post helpful information as blog posts. Or offer coupons or special offerings for your product or service. Make sure that these posts can be ‘clicked through’ to make any potential transactions seamless and efficient. Swap out your images on a regular basis. Whether you are using a single image or a slide show, give your readers a reason to come back. 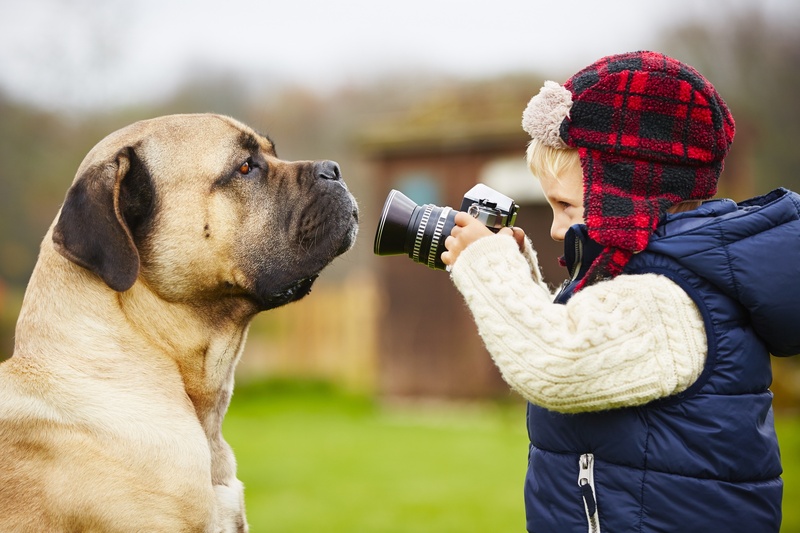 Just make sure that that you find the right photos for your website. Images should be high-quality. Also, try to avoid the cheesy, cliche stock photos. Website content management is about getting people to return to your site. Consider adding a blog and include a way for readers to subscribe. Potential customers are more willing to ‘buy’ if they believe you have their interests at heart. This form of ‘soft selling’ allows repeat visitors and makes your business more human. It’s also a good way to maintain loyalty from your clients. Your customers are busy people. But when you provide value to them, you’re showing that you respect their time. 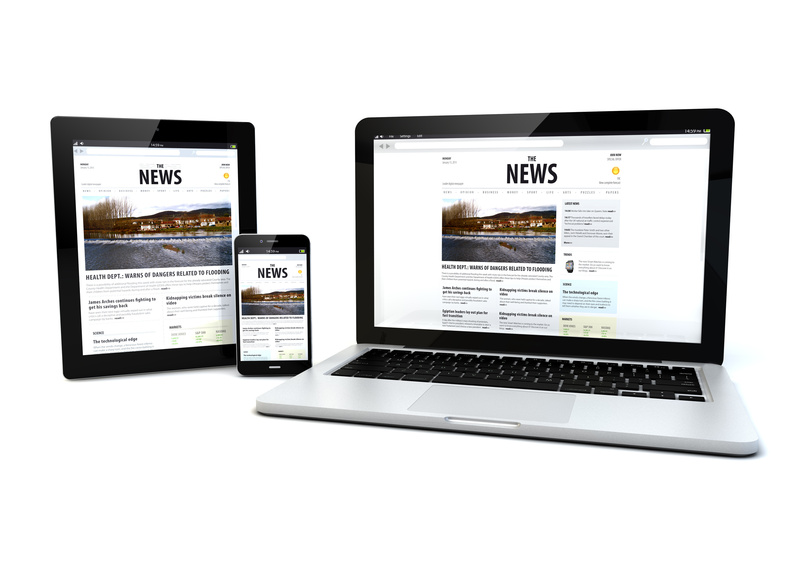 You can curate the latest news, trends or information in blog posts or social media. Or you can even provide exclusive content to subscribers on your email list. Include information about your products or services minimally, so that it doesn’t overtake your message. 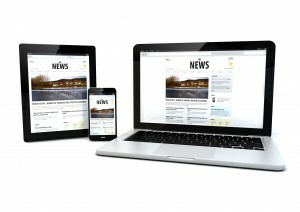 Use various techniques to take charge of your website so that you can engage with your audience. Iterate on your ideas while learning about your customers so that you endlessly evolve your business – and you keep them coming back for more. Whether you are setting up an exclusive virtual store (and managing your domain with FatCow) or adding it to complement your existing brick-and-mortar location, focus in on a few areas to ensure that your e-commerce presence is a success. Your website should be an extension of your branding. When you take the steps necessary to represent your name, you can ultimately engage your customers for purchases. The first thing to consider is to think of your e-commerce site as another store. You will want the look and feel of your personal branding to be extended to the site with your logo, contact information, and a homepage that’s designed with a ‘call-to-action’. Customers should feel comfortable on your site, knowing that they can buy from you with confidence. Remember that ‘text’ is what causes your website to increase in website search engine spiders, so balance pictures with the right wording to help increase your brand presence. Selling products on a website is very similar to how you would present them in a store. Images need to be clear and sharp, product descriptions should include the pertinent information as well as size or weight, pricing should be large (especially if it’s on sale) and product categories easily displayed so that your customers can navigate to make their selections. You will need to keep the products updated with everything that is new (or even out-of-stock). Many of your suppliers may have images and descriptions that they can send to you for upload. Make use of this – as they want to sell the product as much as you do! If you are introducing new products, you will want to make sure that these are highly featured. An example might be a pharmacy that is expanding into health, wellness, vitamins and supplements. This is an extension of the services that they already provide but now offer more of a focus on the care of their customers and patients beyond just medication. 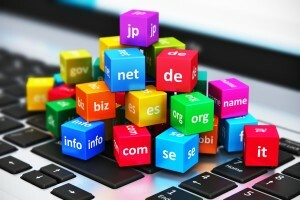 Get your site registered with ‘keywords and metatags’ to elevate your site for the search engines. Your site url should also be listed absolutely everywhere: business cards, flyers, social media. Announce exclusive online specials. For example, make use of your Facebook page to announce the site, offering FB only specials that can be purchased online. Use the same physical store marketing plans for your site for pre-holiday and special event offerings. If you don’t have customer emails, create a signup sheet for a ‘special giveaway’, letting them know that they can receive monthly (or weekly) emails that will have online discount announcements. Create an email schedule that will include fun information that’s catered around the seasons to catch your customers attention, along with your product offerings. The goal is to attract the customers, keep them on your site and get them to return. Create fun, engaging articles for your website so that your customers actually want to read the information. When you find new ways to say the same things, your business is seen as a leader in the industry. This differentiates your website, and in turn your business, from your competitors. 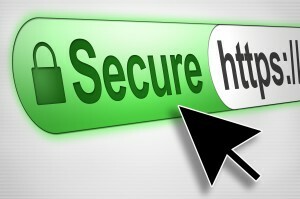 Work with your webmaster to ensure that you have a secure checkout process. This is critical for online purchases. Make sure that you are completely prepared and set up for shipping options and charges as well as preparation for expedited shipping of the products. Depending upon your product, you may want to include an incentive such as ‘everything over $50 ships free’. Have a page that defines your shipping and return policies as well as a ‘contact us’ in case customers have questions. An e-commerce store will take some of your time, so if you are too busy, allocate someone on your staff to be in charge of maintenance, orders, contact us and updating. The purpose of your ecommerce site is to encourage customers and increase your sales. Make continuous changes to the site to keep it from becoming ‘static’. When you create engaging content and sell quality products, you’ll win your customers business. Just make sure that you keep them coming back for more. Gallery is a great tool for organizing groups of photos for display on your website. The functionality is part of the Simple Scripts group of tools in your Control Panel. Scroll through the Scripts List until you see the item labelled Photo Galleries and select the sub-item Gallery. You will see a popup labelled Install Gallery and a few options, including Install a Brand New Version and Import. Click Install to begin the installation process. You will have to choose a location and set some other options and then you will get a confirmation message when the script has finished installing. If you find yourself confused while trying to install or use the Gallery tool just head to your Control Panel, select Website and click Simple Scripts. Use the Find Support link for the Gallery item in your My Installs list. Click Find Support and choose from the options presented, including Official Site, Documentation, Support Forum and Live Demos. For something even more simple have a look at ZenPhoto. At first glance it’s another gallery tool, but ZenPhoto strives to keep the focus on the display of your photos. If you didn’t think Gallery was quite right for your site, give ZenPhoto a try. Install ZenPhoto from your Simple Scripts page, just like Gallery. ZenPhotos is in the same list, too, so click Photo Galleries and then click ZenPhoto. ZenPhoto displays a similar Install message as well, walking you through the process until your ZenPhoto is ready for photo uploads. Gallery and ZenPhoto are both great ways to display photos on your site, but they aren’t built for actively engaging your visitors. Coppermine, on the other hand, brings more personality to photo handling. Your visitors cannot only use Coppermine to view your photos, but they can leave comments on them, provide ratings and view the gallery in a slideshow. Coppermine is what you should choose if you want to do more with your photos than merely display them. You can use it for running photo contests and to get information about what photographs or products your audience likes (and even the ones they don’t like). In fact, if you’re a photographer who really just needs a website optimized for someone in your line of work, have a look at Pixelpost. It’s a photoblog tool, which just means it can display your photos in reverse chronological order. It supports tags, descriptions, themes and comments. Pixelpost’s functionality is similar to some Tumblr uses. However, using Pixelpost with your FatCow account gives you the ultimate control over the platform and tools you use to publish your photos. Our powerful photo tools work overtime to save you lots of time. No matter which tool you choose to use, managing your photos within your FatCow account allows you to focus on the more important things in life – like running your business. WordPress is a great platform for building a website, especially when you’re not an expert web designer. But the first rule of web design is to divide your site into development and production. This means that you will want to have one version of your site you can play around with and edit and another version your readers see. Dividing your site into these two parts allows you the freedom to play in your sandbox without worrying how it looks to your audience. A development environment encourages your creativity because it eliminates the anxiety you’d otherwise feel around changing things on your website. It also gives you a simple way to display the changed site next to your live site for a perfect side-by-side comparison. Get started with the Sandbox at your Fatcow Control Panel, in the WP Essential section. Click the gear icon named Settings to pop out the drop-down menu. Then click Create Sandbox and patiently wait. WP Essential will create new folders and populate them with copies of all of your site’s files. Your Sandbox generates four new buttons when it’s done installing. You should see buttons for Launch Sandbox, Sync, Publish and Delete Sandbox Installation. The first new button opens the Sandbox so you can start trying out design changes and other alterations without changing your live site. This should usually take less than a minute. 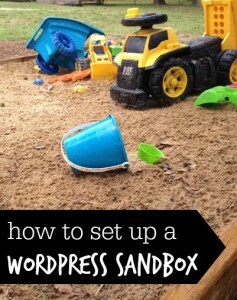 But if you have a large site or use many different themes or plugins it may take longer for your Sandbox to be created. This is because the Sandbox is an exact copy of your site, including all themes, plugins, posts and comments, even if they’re inactive or unpublished. Once installation of the Sandbox is complete you can log into it with the same username and password you use on your live site. However, you can change the credentials for both the Sandbox and your live site after your first login at the Sandbox. Users of our SiteLock Web Application Firewall will get the same protection for their Sandbox as they have on their public site. The same is true of SSL encryption because the Sandbox is located on the same domain as your live site. The second new option, Sync, will reset your Sandbox with a copy of your current live site. This is useful if you want to use your site’s current configuration as the starting point for your testing. Publish will go the other way, applying all the changes you made in the Sandbox to your live site. Finally, Delete Sandbox Installation does exactly what it says. Keep in mind that the content you create in the Sandbox will not be transferred to your live site when you Publish your changes. If you are hit by inspiration while designing in the Sandbox make sure you open your live site before trying to write and save a new draft page or post. Once things look right on your Sandbox you can publish your changes onto your public website, allowing for a seamless way to make significant changes to your website all at once. These days desktop computers have big, beautiful high resolution displays. This allows for equally big, beautiful websites with high quality images and even things like full-screen slideshows and background videos. It’s a web designer’s dream. Now picture using a high resolution website on a smartphone-sized display. The text is unbearably tiny, buttons are impossible to press and don’t even think about trying to use menus. It’s a web user’s nightmare. Once upon a time if you wanted people to visit your website on a small screen you had to design a second website from scratch. This meant different CSS styling, size images and even different copywriting. There was new code to write along with photo editing and even then you couldn’t be certain your mobile site would look nice or even be usable on every single mobile device out there. Wise web hosting companies enjoy keeping their customers happy. That’s why we decided you shouldn’t have to worry about manually managing a second website, HTML files or anything else that stands in your way of happiness. Instead, we offer access to a powerful little tool called goMobi. It provides you with a wizard interface for creating a mobile website that looks great wherever it is viewed. We also integrate the ability to assign the “m” subdomain to your mobile-optimized site. Users know right away when they’re on a mobile-first website when they see “m.your-website.com”. You will find the option to use goMobi in the Website area of your FatCow Control Panel. We have a dedicated page where you can learn more about the tool and build a classy mobile version of your website. If you have never used goMobile before you have to purchase the addon using the link from the Getting Started page. When this is done or if you have already purchased the addon you will next see the Mobile Website Builder. Start there by clicking Add Mobile Site and select the domain you need a mobile website for from the drop down menu. Click Create New Site. Make sure the domain listed under the Current Website is the one you’re intending to use. Select Settings next to the domain you want to edit. The resulting pop up allows you to reapply the mobile styling to a different domain (which removes it from the current domain). You can also toggle the redirect from you main desktop version to the mobile version of your site. If necessary, you can even delete your mobile site altogether from this screen. That means the mobile site you deleted will be gone but the credit will remain on your account for use with another domain or to rebuild that domain’s mobile site. If you have any questions, feel free to contact our Moo crew. We’re around to make your experience smooth. FatCow has fully integrated domain management into our account system so that you can stay secure while building your website. An important part of domain management is ensuring robust security is in place. This is why we take several measures to keep you informed about additions and changes to your account’s domains. Here at FatCow, we use email as our primary means of verifying additions and changes to your domains. We notify you via a verification email whenever you first purchase a domain, whenever the name or email address associated with the domain are updated, and whenever your domain is moved to a different domain registrar. Each verification email will contain a unique link you must click on to alert us to the fact that you were the person who made the change. You have 15 days to click the link in each verification email. We will suspend your domain on day 16 and display either a suspension page or simply a blank page. The purpose of this isn’t to annoy you but to make sure that if someone else is making unauthorized changes to your domain, those changes are not immediately implemented. We know you are busy, so we provide an easy process to suspend your domain. Head to Domain Central, choose “suspended domain” and make sure the Contact email on file is correct. Then click Resend in the red notification box or Resend Email under the Verification heading. You will receive a new verification email. Open the email account and click the verification link to restore your domain to normal visibility. It usually takes between 24 hours and 48 hours for the suspension to be lifted, so click the link as soon as you can. Don’t panic if your site isn’t restored right away. 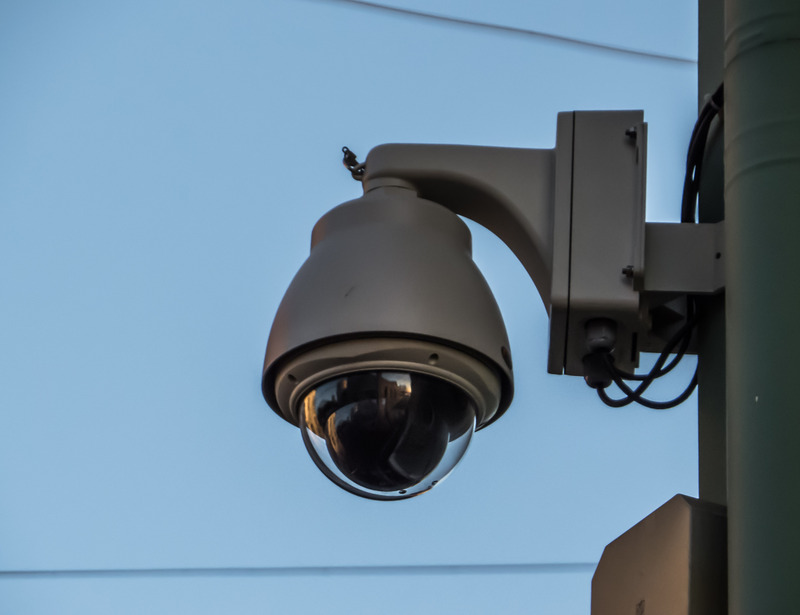 Some businesses face more difficult security concerns than others. For those issues, we provide an addon service called NameSafe Protection. This service prevents anyone from making changes with the information and settings for each domain on which it is enabled. NameSafe is only active when you are logged out of your account. NameSafe settings are managed in the Domain Central section of your FatCow Control Panel. You can deactivate it any time on a per-domain basis when you want to make changes. This extra level of security is NameSafe’s primary function because you need to do more than simply log in. Select the domain you need to deactivate NameSafe on, choose Security and then click the Unlock link in the yellow banner below the domain menu. You will need to answer your security question and then you can click Unlock Domain. The security question requirement is essentially a form of two-factor authentication, which requires a standard login with username and password and then a second form of authentication. There is a growing number of websites and services which offer two-factor authentication because it is such an effective means of securing sensitive information. It is so reliable that even the government uses it to secure many of its own systems. Your FatCow Control Panel contains a section titled Domain Central. That’s where you go to add, manage and update all of the domains associated with your FatCow account. We did our best to make it easy to modify multiple domains simultaneously so you can spend less time managing and more time on your business. Domain Central will present a list of your FatCow domains and the most important information about each of them. You will see columns for registrar, expiration date (with the number of days until expiration in parentheses), privacy status and renewal setting (whether it auto-renews or must be renewed manually). You can select one or more domains to modify and then click Modify Selected Domains. Remember that any changes you make on the next screen will be applied to all of the selected domains. You can update contact information, refresh the WHOIS data, enable or disable domain privacy, lock or unlock the domains, enable or disable auto-renewal, update nameservers and more. You can also immediately renew the selected domains. People who like to plan ahead for a single annual domain payment may find this option useful. If you renew all of the selected domains, they will share an expiration date going forward. Registration information is mandated by the Internet Corporation for Assigned Names and Numbers. It must include a listing for the registrant, the Admin Contact (your “webmaster,” which may be you as well, and the Billing Contact. Enter the new information for one or more of the contacts and click Save Contact Info. If you receive an error response, you may have left one of the required fields marked by an asterisk empty. Those of you who love to collect domains may have more than you can easily sort through in a list. Just use the Search My Domains button to filter out the ones you don’t need. We know you’re busy so we do the filtering in real-time as you type your search terms into the box. ICANN limits the duration for which you can register a domain to a ten-year maximum and registrars such as FatCow must abide by that limit. If you prefer to renew for shorter periods of time, we will always remind you to renew 60 days before your domain’s expiration date. Make sure your payment information is up to date because if it is incorrect we will not be able to auto-renew for you. Domains are deactivated the day after they expire and replaced with a notice of expiration. You need to log in and renew your domain for at least one year to lift the expiration and reinstate your website as it was prior to the domain expiration. Be sure to take care of this before 30 days have passed. Beyond the 30-day period, the domain may enter into the redemption grace period. This lists the domain for auction and someone else may purchase it. Even if no one else purchases the domain there may be a redemption fee of $160 to reactivate the domain under your account. If no one has purchased or renewed the domain when the redemption grace period ends, the domain will be held for five days before being released to the general public for registration. Get in touch via our Support Console if you think your domain has expired. It’s no secret that hackers hunt for vulnerable systems and valuable information like passwords and credit card numbers. And often they get away with it. But how? It comes down to one word: Ignorance. This is why it’s important to be knowledgeable enough to make your websites and other accounts more secure. For example, it’s important to understand the difference between malware and hacking. Malware, or malicious software, is any program that can degrade or disable the security on your computer or your website (or, in some cases, both). The act of hacking is more direct, often involving a targeted attack against one system. Many hackers use malware to break open the door to your system and then use their hacking skills to make off with your credentials, data or identity. Email accounts, website logins and hosting accounts contain sensitive information about you and perhaps even about your customers. A failure to maintain security can cost you privacy or even destroy your credit or your business. This is why FatCow takes security very seriously. We get links from friends, family and coworkers for use in communicating, staying informed and getting our work done. But some links are not what they seem, and can result in a malware infection on your computer or website. Be wary of links from email addresses or social media posts whose sender you don’t recognize. Even if you do recognize the sender, if a link includes a URL you don’t recognize, or comes from someone who hardly ever contacts you, think twice before clicking it. Be certain that the site you think you’re on is really the one it appears to be. Some hackers will build replicas of popular sites like Facebook or banking pages to trick people into entering private information. 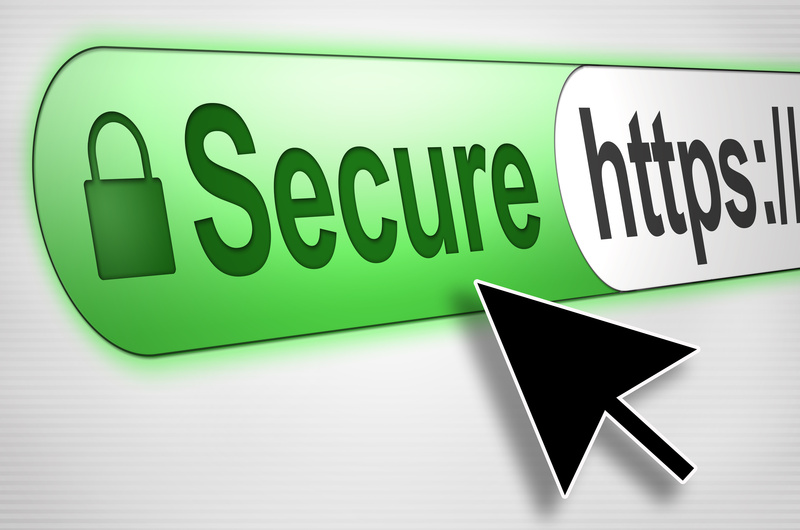 Always ensure that the domain name in your browser’s URL bar matches the website you intend to be using. Passwords are another potential vulnerability. We have some tips to maximize the security your passwords provide, but you can find more information here. First, don’t use the same password everywhere. This is an easy way to give hackers the keys to every single account you possess. Second, don’t use a predictable password, like your dog’s name or the street you grew up on. Hackers can use social engineering tactics such as calls to customer service numbers to retrieve such information about you before they even have your password. A password manager can generate strong passwords for you and store them in a secure place. The University of Pennsylvania’s Wharton School of Business has a great page that describes some common pieces of software built for those very purposes. Custom keyboards on modern smartphones enable the use of these password managers even on mobile devices. Consider using SiteLock site scanning to check your site for viruses. Keep WordPress updated and be sure to keep your data backed up. Staying secure isn’t always the more fun work to do. But it’s the most important. So use this information as a guide to stop ignorance in its tracks. You and your business will be better off. You can build and maintain your website on FatCow in many ways. 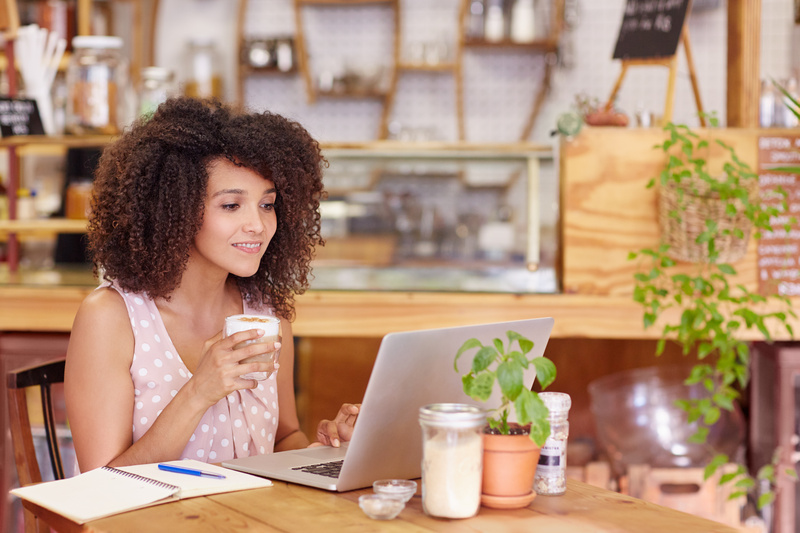 If you’re new to making websites and want to get up and running, Site Expresso is one option. It guides you through the setup process. And the good news is that you can create up to seven pages, an image gallery and a contact form. The basic Site Expresso menu displays a drop-down list of your pages, a Styles drop-down, a Colors menu and a Preview & Publish button. You can use this menu to add pages, edit text, create links to other pages, add images and to change the visual design of your site. You can enable as many of the seven pages as you need. Each one is designed for a different purpose. Create a new page by clicking the drop-down arrow next to the Pages menu item and selecting Add a Page. Your page type choices are Products, Services, About, Image Gallery, Testimonials and Contact. Choose the one you want and select Add Page. Once you have added the content to a page you can preview it by clicking the Preview & Publish button. Make sure everything is in its right place and then click Publish. Your changes will be instantly visible to your visitors. Use the Styles button to choose an overall look and feel for your site. There are styles for many different types of websites, so don’t hesitate to try them all out. You can further customize your site by adding your logo to the site header. Hover your mouse over the logo area on your homepage and click the Edit Logo button that appears. Then use the Find button to open the upload screen and select your logo from its location on your computer. Ensure your visitors will see your logo by enabling it in the “Display My Menu” in the upper right area of your Home page. You can also enable your business name, which may be a good idea if your logo doesn’t include it. Click Continue to save your changes. If you maintain a blog outside your Site Expresso site,add a link to it in your Pages menu. Choose Blog from the Add New Page menu we mentioned earlier and paste your blog’s web address in the box. Click Save and visitors to your business website will have easy access to your blog. Add a link from your blog to your business site as well for even better cross-marketing. Your Contact page is vital so test your settings before you publish your site. When visitors fill out the contact form you’ll receive an email containing their message. Try sending yourself one from your Contact page so you can be sure it’s working. Associate your social media profiles with your site by double-clicking the bottom-right corner of yourhomepage to add “Follow” links. You can add links to your Facebook, Twitter, Google Plus and LinkedIn profiles. This helps your visitors find you on their social network of choice.